This book was pure escapist fun! 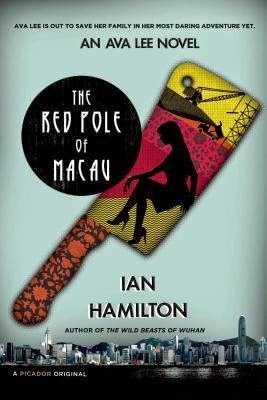 As one who has lived in Hong Kong and visited Macau, the descriptions of the locations and people seemed spot on and drew me into the narrative. Ava Lee is an appealingly different heroine – a forensic accountant, daughter of her Chinese father’s second wife who lives in Canada; a lesbian; a martial arts expert; and friend to Hong Kong based operatives with former ties to Triads. What isn’t to like! I liked Ava Lee. I liked Uncle. The scenarios involving corruption are believable. The descriptions of Stanley Ho’s casinos on Macau are accurate. The dangers associated with engaging in business dealings in Macau are also realistic. There were some parts of the story that did not ring true; but I enjoyed the book. It was different – outside the mainstream typical investigative procedural. Definitely worth a look if you have an interest in Asia.